This post is a part of #GoldfishMix campaign hosted by #CollectiveBias, the social shopper media company. All opinions are mine alone. Sweet and salty, these chocolate Goldfish cracker bites are perfect snack to enjoy and share while watching a game, or a movie. Crunchy, salty, sweet and fun! Fun to eat! Love everything about them. I lost track of how many batches I made since late December. They were perfect for our 10-hour road trip, for the game day get-together, and even for laid-back movie night. It’s ridiculously easy to make, not even sure if we should call it a recipe. As much as I wish, this is not my genius idea that I came up with out of nowhere. I was totally inspired by many pretzel hugs out there on Pinterest. BUT dare I say this Goldfish cracker version is totally the best? Crackers add more salty factor, you know. Give it try and you will know what I mean. 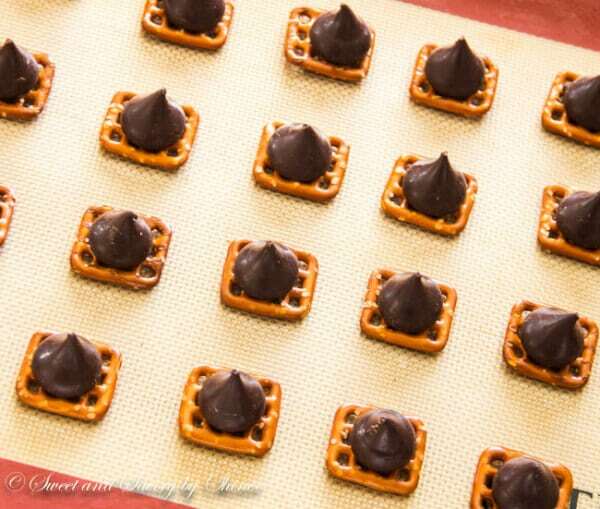 Arrange as many mini pretzels as your heart desires on a baking sheet, then top with a piece of dark chocolate. Bake in the oven for a few minutes to get the chocolate soft, and press down the crackers. 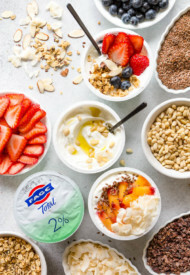 And voila, you’ve got yourself fun snacks to enjoy and share. Sweet and salty, these chocolate Goldfish cracker bites are perfect snack to share while watching a game, or a movie. 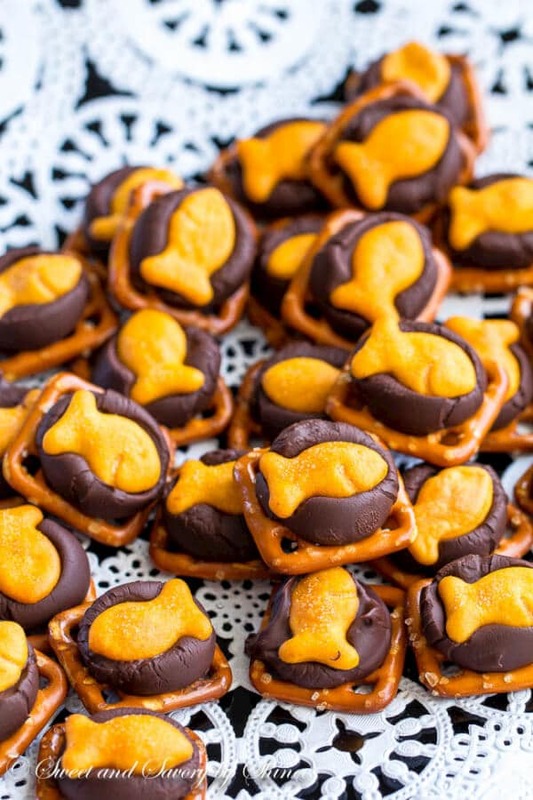 While chocolate is still soft, firmly press down the Goldfish crackers, so that chocolate is slightly pushed into the pretzel holes. Refrigerate until the chocolate hardens. 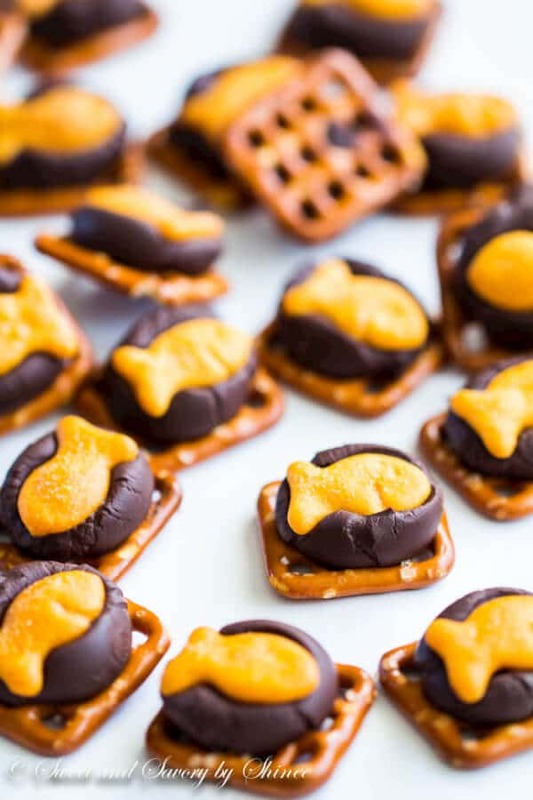 These chocolate goldfish cracker bites recipe looks so amazing and yummy at the same time. Found your post so easy to follow along when preparing them yesterday. So mesmerized by this. Thanks for sharing! 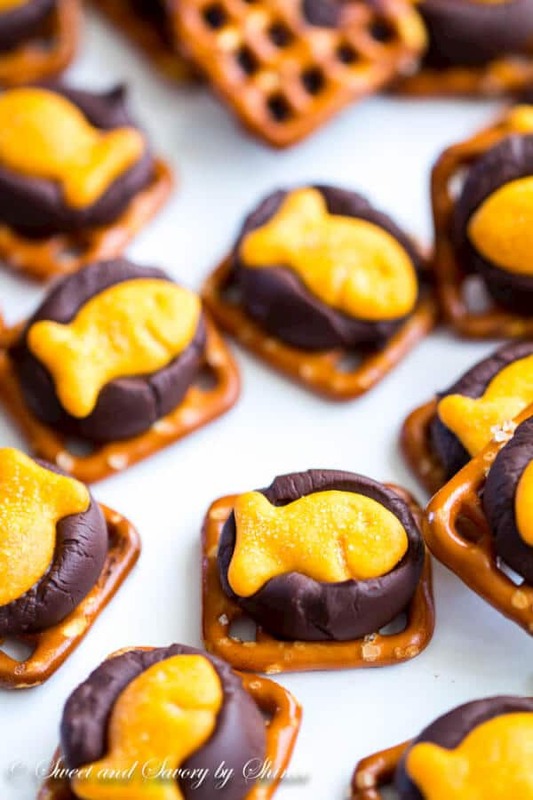 This chocolate goldfish cracker bites recipe is incredibly delicious and really too easy.. I found your post from Pinterest! I’m also gonna pin this post on my Pinterest board my followers will love it. Thanks for sharing, Shinee! Thanks, Jill!! I appreciate the social love! Awesome idea 🙂 I’m planning on making these for my sister In laws “under the sea” themed baby shower this Saturday. How would you recommend I keep them fresh if I prepare today (Tuesday)? Thanks!! Wow, these are sooooo cute! Love the combination of salty pretzels and the sweet chocolate. Fabulous idea! No joke, whenever I eat Goldfish I think they’re missing something. Now I know it’s chocolate. I love these! Haha, I bet you’re right. It’s perfect combo. Thanks, Dorothy! These are SO DARN CUTE! I want to grab a handful and stuff it in my mouth!! Haha I bet you do. Thanks, Nagi. I never would have put these flavors together! Long live salty-sweet. This is such a fun idea!! 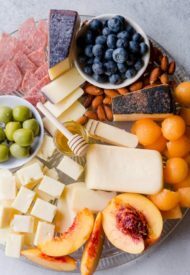 My girls will have a ton of fun making these bites! For sure, so much fun to make it with kids. Thanks, Anna. 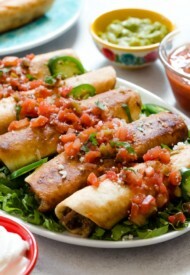 Omg these look so delicious!! So making these!! Thank you, Ami. Let me know how you like them. This is genius! My parents used to buy those huge cartons of goldfish crackers at Costco when I was a kid, but I haven’t had them in ages. Now I want some real bad! 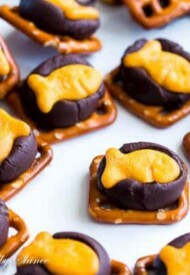 The chocolate / goldfish / pretzel combo is amazing. Thanks for the recipe! Goldfish crackers definitely remind me of my childhood! 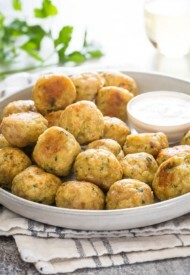 I just love these little bites Shinee.. they look so moorish and addictive! Thank you, Thalia! They are so good. Pretzels, goldfish and chocolate? My three year old’s three favorite things. Love this! My favorites too. 🙂 So good! Thanks, Des. We are big goldfish fans around here especially the little ones! Pairing them with chocolate sounds like a fabulous idea!